Chilly winter weather has begun with some areas already experiencing frosty nights. 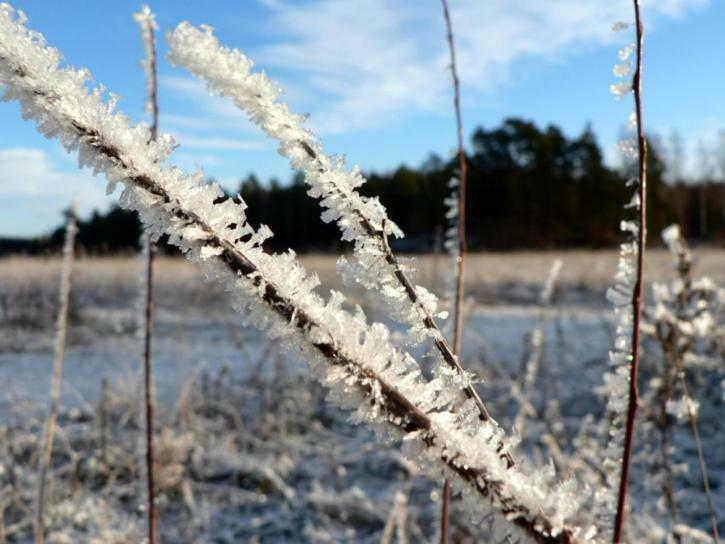 Frost damage is more likely to occur in parts of the garden where cold air cannot drain away. If plants in your garden have been damaged by frost, please resist the temptation to prune back the damaged parts. They may look unattractive, but there are more frosty nights to come, and the damaged parts will help protect the plants from further damage. Leave pruning of damaged plants until spring after weather warms. There are several methods gardeners can use to protect seedlings or favourite shrubs and young trees. The following gardening advice is an abbreviated list for vegetables, fruit trees and some culinary herbs that can be sown or planted during February in Australia and New Zealand. A comprehensive monthly guide that includes planting times for the entire garden, as well as when to fertilise, prune, weed, take cuttings or divide plants, can be found in the diary section of my book Easy Organic Gardening and Moon Planting (Scribe Publications, 2006, 2009, 2012, 2017), and e-book (Booktopia 2012, 2017). 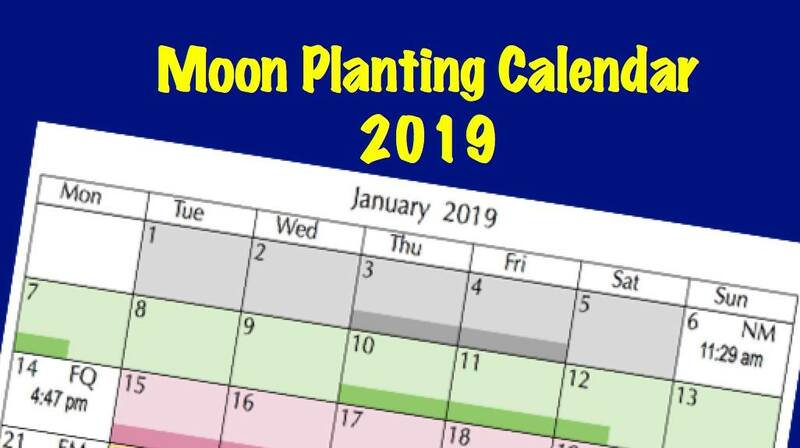 * For gardeners who do not use moon planting: sow or plant out any of the following list at any time this month, although you may find germination rates are lower when the Moon is in Last Quarter phase..
Before the Full Moon, grains can be sown directly into beds, as well as a green manure crop of red clover. Cabbage and spring onions can be sown. Lettuce and silverbeet can be sown in a cold frame. During First Quarter phase, tomatoes can be sown in a cold frame. During Full Moon phase, Jerusalem artichokes, radish and turnip can be sown directly into beds, as well as potatoes in Brisbane and areas south. Beetroot can be sown in a cold frame. Asparagus and rhubarb crowns, fig, pistachio and other deciduous trees and vines can be planted. Before the Full Moon, open Chinese cabbage, grains, lettuce, mizuna, rocket, silver beet, tatsoi, chamomile, coriander and sunflower can be sown directly into beds, as well as a green manure crop of lablab or corn. During First Quarter phase, bush and climbing beans, popcorn and sweet corn can be sown directly into beds, and pumpkin, spring onion, summer squash, tomato, watermelon and zucchini can be sown or planted out. Capsicum and eggplant can be sown in a cold frame. During Full Moon phase, beetroot, radish, turnip can be sown directly into beds, and avocado, banana, fig and pistachio can be planted. Before the Full Moon, a green manure crop of broad bean (faba bean) or field pea can be sown. In a cold frame, sow celery and lettuce. In frost-free areas, suitable lettuce and spring onions can also be sown or planted out. English spinach can be sown directly into beds in colder areas. During First Quarter phase, dwarf broad beans and peas can be sown directly into beds. During Full Moon phase, Jerusalem artichokes, garlic, potatoes and radish can be sown directly into beds, and mid season onion seedlings, asparagus and rhubarb crowns, kiwifruit, pistachio and other deciduous trees and vines can be planted. In frost-free areas, fig can be planted. Before the Full Moon, English spinach can be sown directly into beds, as well as a green manure crop of broad bean (faba bean) or field pea. During First Quarter phase, dwarf broad beans and peas can be sown directly into garden beds (see link in the June planting post on when to sow Broad beans and peas for your local climate). During Full Moon phase, late season onions can be sown, and asparagus and rhubarb crowns, deciduous fruit trees and vines can be planted where frosts are not severe. In cold areas that receive winter rain, it is better to delay sowing potatoes until August. This entry was posted in Fruits and Vegetables, Herbs, Moon Planting diary, Ornamentals and tagged Aussie gardening, Australian organic gardening, backyard vegetables, climate change gardening, cuttings, easy gardening, easy organic gardening, environmentally friendly gardening, first quarter moon, flowers, fruit, full moon, garden soil, gardening advice, growing plants, growing vegetables, Healthy soil, Herbs, how to grow, July, last quarter, lunar cycle, lunar month, moon phases, Moon Planting diary, new moon, New Zealand, organic fertilisers, organic gardening, planting by the moon, plants, propagating, sustainable gardening, synodic period, vegetables, weeds, what to grow, when to sow. Bookmark the permalink.